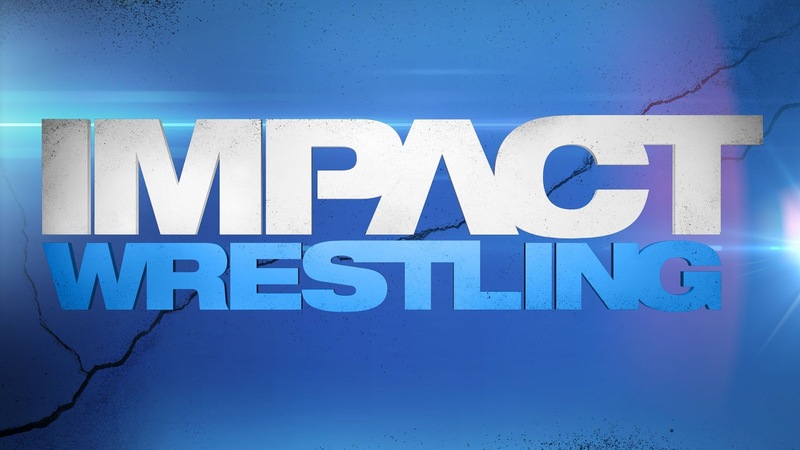 TNA Impact Wrestling focused largely on the Bound For Glory Series, with the first part of the tournament coming to close with a Twelve Man Gauntlet match (or Royal Rumble). Whilst TNA chose to have Sting and Bully Ray's No Disqualification bout go in the usual main event slot, to me the Bound For Glory Series, which will be the focus once again in the next two week's No Surrender themed special episodes, was where my interest lied, for almost all of the show. To build up to this one, TNA started the show with a short vignette featuring clips of interviews with each of the twelve Bound For Glory Series competitors. In case you've missed TNA over the last couple of months, that's AJ Styles, Magnus, Mr. Anderson, Samoa Joe, Kazarian, Bobby Roode, Austin Aries, Jeff Hardy, Joseph Park, Christopher Daniels, Hernandez and Jay Bradley. I though this was a really good idea, with each man explaining their motives for winning the Gauntlet and why they will win, really setting up the importance of the Gauntlet match. Obviously, a lot of the participants wanted to win, so they could reach the final four and go onto No Surrender next week, but people like Jay Bradley and Hernandez who had no chance of winning at least mixed it up a bit. To continue on that theme, both Bradley and Hernandez were interviewed by Jeremy Borash, both actually gave decent interviews, but there was one problem here...I simply didn't care. Bradley spoke about how a certain organisation had possibly enlisted him to eliminate a certain individual and you could see it coming a mile off. It was clear who Bradley was talking about in both cases, and it was clear Bradley wouldn't be eliminating them, he's been booked as a loser throughout the whole Bound For Glory Series, why would things be changing now? The thing with Gauntlets/Royal Rumbles is they have to be full of spots and storyline to make them any good, you can't just sort of have twelve men come out and have them all swap between who is punching who in the corner of the ring, because it becomes pretty boring pretty quickly and this one bordered on the latter most of the time. There was the stuff with Jay Bradley, but it simply didn't work. It was revealed he was meant to be eliminating AJ Styles, but Styles had already been in the match for quite some time, and Bradley had a perfect opportunity when Styles entered the ring and clotheslined Joseph Park over the top rope, but it just wasn't picked upon. Despite earlier saying the order of entry was decided by who was higher up the standing, Mike Tenay and Taz still questioned who was in next which didn't help the proceedings. Bad Influence both did a good job in developing a story, helping keep each other in the match and work over other wrestlers, although a double hip toss wasn't exactly an exciting way to eliminate Hernandez. For me, the match really picked up with the entry of Austin Aries, charging down the ramp and hitting a leaping double clothesline on Bad Influence. This is where The Extraordinary Gentleman's Organisation remembered they were all a group and took the fight to Aries, finally a bit of storyline development. There was a nice series that saw Samoa Joe attempt to save Magnus from Bad Influence only to get eliminated himself, before Bobby Roode saved Kazarian by eliminating Jeff Hardy, as EGO's dominance continued it looked more likely they would produce the winner, with only Styles, Aries and Magnus opposing them. A nifty looking monkey flip from Styles would eliminate Kaz, although it was harmed by the jarring visual of seeing Kaz land on the elevated entrance ramp rather than the floor. Another nice piece of teamwork from EGO, saw Daniels save Roode from a bodyslam from Magnus and go on to eliminate the Brit, to bring the field down to four. Speedy eliminations of Aries and Roode by Styles, both of whom had already qualified for the final four, left Styles and Daniels to battle it out. Unfortunately, they didn't stick with tradition and then have a one on one match, like how they would usually do in TNA, with Styles eliminating Daniels following a Clothesline. I thought this was a real shame, as I quite excited to see the two go at it one more time, and thought the closing stages of the bout up were really good up until this point. With the Final Four settled as AJ Styles, Magnus, Bobby Roode and Austin Aries (I got two out of four, by the way! ), the only thing left to do was choose who would face who. So later in the AJ Styles came down to the ring and after some deliberation, picked Austin Aries as his opponent. Styles' reasoning was solid, with Aries having a victory over him in the Series and Styles wanting to prove himself once again, with Aries declaring that their would be a clear winner next week, I could help but be excited to see these two lock up for the second time on television. So that meant that the other semi final would see Bobby Roode vs. Magnus, with Magnus holding the victory over Roode in the Series proper already. With two decent promos from both guys outlining why they should win, it all set up very nicely for next week. It's obvious TNA had expected to have more time here, with a lot of the booking that seemed clear early on (Joseph Park being revealed as Abyss for a late push, Chavo Guerrero turning on Hernandez) having to be dropped, which is strange really because they should really know their own schedule, but they have actually done a pretty good job of coming up with a final four that I'm interested in. AJ Styles would be my pick to win, although you could make strong cases for both Austin Aries or Magnus to go head to head with Bully Ray at Bound For Glory as well. There was no amount of build up TNA could do that would get me excited for this match. I saw it at Slammiversary and I'm pretty sure no one was crying out to see a Sting-Bully Ray II. Even with Bully Ray continuing his trend of top notch promos at the start of the show, addressing his Aces and Eights stablemates, Mr. Anderson, Tito Ortiz, Knux, Wes Brisco & Garrett Bischoff, with “main squeeze” Brooke Tessmacher by his side. Ray did a good job trying to keep his group in check, it's clear that Ray has relished his role here, it's a shame he hasn't really had a decent face to go opposite against. Ray also set up a number of matches for his group, including Knux taking on Chris Sabin and Brisco & Bischoff taking on World Tag Team Champions James Storm and Gunner. This is certainly the best use we've seen of the Aces & Eights group, with my previous main gripe with the group being that they were never in matches, however I think it might be too little too late. The build continued throughout the show, with both Aces & Eights and Main Event Mafia having backstage segments. Firstly, we saw Bully Ray's reaction to Mr. Anderson failing to win the Bound For Glory Series Gauntlet match earlier in the night. I thought this was really well shot and performed little scene, with Bully Ray once again putting in a stellar performance. With Anderson showing a burst of aggression, before Bully Ray put him back in line, it looked like that would be the last we'd hear of Anderson's uprising, at least for now. For the Main Event Mafia, we saw Sting chatting with Rampage Jackson. Now I expected to hate this segment, but it was actually quite sweet. It came across to me as the veteran Sting departing some knowledge to the green Jackson, with Jackson happy to sit and listen whilst Sting cut a pretty decent promo, however I still wasn't anymore exciting to see the main event. Before the match, General Manager Hulk Hogan, banned Tito Ortiz from ringside and made the match No Disqualification. These two ideas seemed juxtaposed, what would happen if Ortiz interfered? Why were Mr. Anderson and Brooke Tessmacher allowed to stay at ringside? I've heard of WWE logic, but TNA logic is getting pretty ropey. The match was essentially a slim line version of the one they had at Slammiversary. Firsty, Sting took it to Ray with a steel chair, before Ray took the upperhand and they repeated the spot from Slammiversary where Ray removed the padding on the ring to expose the boards. I wasn't fan of it the first time and I don't like it anymore now. Sting reversed Ray's Piledriver and managed to lock in a Scorpion Death Lock, with Aces & Eight's Knux, Brisco & Bischoff making the save for their President. Main Event's Mafia Samoa Joe, Magnus & Rampage Jackson came down and fought Aces and Eights to the back. It was a nice twist on what we had seen at Slammiversary, showing that Sting now had some guys watching his back, so I can't really complain about that. The finish saw Sting manage to lock Ray in the Scorpion Death Lock again, with Anderson on the outside wielding a hammer. With Anderson refusing to make the save for his President, Ray tapped out and Sting picked up the submission victory. In isolation, this was a pretty good finish and did set up nicely for next week's No Surrender, but TNA just had their World Heavyweight Champion lose clean to someone who can't even challenge for the title. I'd love to know the logic that we into that one. So Anderson got in the ring and said he'd be facing Bully Ray next week at No Surrender for the World Heavyweight Championship, and I have to say I quite liked the return of face Anderson, complete with announcing his own name. I thought it was a really strong end to Impact Wrestling, but they did about two-three months worth of build for this match, in about a two weeks. This moment could have felt even stronger, if they'd have just let it breath for a bit and really build to Anderson's turn. The other issue I had with this was that Anderson has just lost the Bound For Glory Series, and is getting a title shot next week...whilst the final four will battle it out to get a shot on the same show. It's the timing more than anything that annoyed me about this, if it was shuffled around and maybe two months down the line, this would have been a red hot ending to the show. Elsewhere on Impact Wrestling, we saw the return of former World Heavyweight Champion Chris Sabin, in his first television bout since losing the World Heavyweight title, taking on Aces & Eight's Knux. I was interested to see Knux back in the ring, because he's hardly been in the ring since turning up in TNA. He's been in a handful of multi man tag team bouts, but this was actually only his second singles match on television, and his last match was back in January! Knux has been handled pretty poorly since joining TNA, as have most of Aces and Eights as individuals, which has in turn harmed the Aces & Eights group in general. Get the guys in the ring, show us what they can do! I thought Knux had a lot more to give the company, after enjoying the majority of his run in WWE as Mike Knox. The match was decent, it didn't exactly set the world a light, but it was okay. Sabin worked Knux's knee for some reason, during the opening of the match, I guess the logic was that Sabin was trying to get Knux on the ground, but it didn't quite work. Knux looked pretty good when he took control of Sabin, with power moves and nice diving leg drop, that I wasn't expecting from such a big man. The finish saw Bully Ray hand Knux a hammer, with Sabin hitting a basement dropkick to Knux's knee. With the hammer now loose, Sabin jumped on it and whacked Knux in the head, giving Knux a disqualification victory. I'm waiting to see where they go with Sabin before burying this finish, obviously they have something planned for him and it didn't exactly harm Knux either. After the match, we saw Sabin and real-life girlfriend Velvet Sky, with Sabin saying something has got to change, so it would seem they are working on something for Sabin and it has to be better than his World Heavyweight title reign! There was also tag team action with World Tag Team Champions James Storm & Gunner taking on Aces & Eight's Wes Brisco & Garrett Bischoff. The bout kicked off with the cliché spot of Brisco & Bischoff attacking Storm & Gunner on the entrance ramp, but Storm & Gunner quickly gained the upperhand before the match officially got going. I didn't want to say it, but I was actually quite impressed with Brisco and Bischoff who did a pretty good job of working over Storm, Brisco looked especially good. The bout built up well with a hot tag to Gunner, and number of nice near falls for both teams. The finish used another wrestling cliché with Brisco distracting the referee by bringing the tag belt into the ring, allowing Bischoff to hit Gunner with a chain to pick up the victory. You'd expect a rematch to happen further down the line, possibly with the belts on the line, but currently I'm positive about Brisco and Bischoff moving into the tag team division after this bout. Knockout's Champion Mickie James was also on the show, in a truly awful segment with ODB. Both women actually gave a good performance, but the material they were given was tripe. It focussed on Miley Cyrus and that whole twerking thing as an attempt to get heat on James. Eventually, James tried to hit ODB with the belt, only for ODB to fight back and then the two had a stare down. I have no idea why they didn't put on or the other on top during this segment, as it just didn't look right having James leap up. I'm actually quite excited to see the James vs. ODB match, but if segments like this continue then I might start losing interest. My final thoughts on this week's Impact Wrestling. 1. TNA had to rush their plans for the Bound For Glory Series, but the final four actually looks pretty interesting. 2. Bully Ray vs. Anderson needed another two or three months worth of build and it could've been red hot. 3. This week's booking of Aces & Eights, showcasing the member of the group in actual matches, should have been happening about nine months ago.